Air India's recent decision to only sell its tickets via Travelport has caused concern not only among interline partners and travel agents it has also drawn the anger of the Air Passengers Association of India (APAI) who have filed a petition to the Government on the anti-consumer move by the struggling national carrier. In a letter addressed to Shri Suresh Prabhakar Prabhu, Minister of Commerce & Industry and Civil Aviation and Shri Jayant Sinha, Minister of State for Civil Aviation, highlights the arbitrary step that the national carrier Air India is looking to take with regards to its booking and distribution systems. The petition states that millions of people who had planned their vacations well in advance and made bookings on Air India, post December 4th will be highly inconvenienced in making amendments, modification, cancelling or rebooking of their tickets either through a travel agent, interline partners or market place. In the letter to the Ministers, D. Sudhakara Reddy, National President & Founder of Air Passengers Association of India (APAI) said, "When globally businesses are moving to multiple touchpoints and points of sale like market places where competitive pricing, ease of transaction and promptness are of essence for the consumer, Air India's decision to restrict itself to a single platform starting December 4th is a highly retrograde step." "Considering that Air India's tickets will now be offered only on Travelport instead of multiple platforms, the consumer will have to now accept monopolistic prices and favored routes chosen by Travelport only," shares Reddy. With Air India's move to put all its ticketing with a single technology, it is further learnt that after December 4th, this will disconnect about 18 codeshare airline partners and over 100 inter line partners because passengers will not be able to access any information. This will also have a huge impact on the much-advertised Star Alliance Partnership, which Air India had regained after great difficulty. 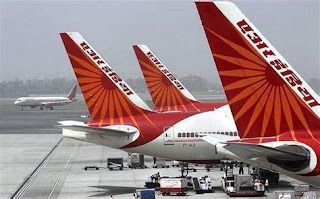 "From a consumer perspective, Air India opens Bookings up to 362 days in advance thus implying that millions of passengers who would have booked till end of November 2019 will not able to make a change in the current booking or avail onward journey on any Star Alliance Partners code sharing services," shares D. Sudhakara Reddy, National President & Founder of Air Passengers Association of India (APAI). About 40 airline partners like British Airways, Lufthansa, Swiss, Singapore Airlines, Turkish Airways, Air Canada, United®Airlines and many others will not be accessible to a consumer. Such fragmentation will also lead to major impact wherein optional airlines will start offering surge and higher price points for ticket sales to the customer/s. Further, international passengers would not have the choice of booking Air India especially from USA, UK, Europe or Middle East as global online portals will not reflect airline inventory as they do not work with Travelport. "Post December 4, the PNRs already issued, fresh bookings, the onward journeys, crediting of Star Alliance Partners miles by Air India will need to be resolved by its own Call Centers and customer care. This will lead to utter chaos for senior citizens, students, travelers, holiday makers, families and business travelers on Air India. So, in the end all this will be highly detrimental to travelers across the globe as well as the efforts to revive Air India and make it profitable," shares Reddy. The Air Passengers Association of India (APAI), in public interest, appeals to the Ministry for their support to review and stop the unwise decision that will adversely impact Air India and public at large, while at the same time is beneficial to Air India competitors. .